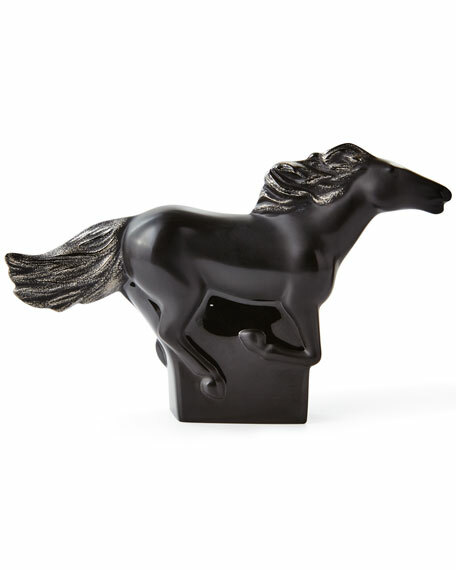 The Kazak horse pays homage to one of the most majestic animals on Earth, the ultimate symbol of strength and speed. Crafted in black crystal, the movement of the mane and tail flying in the wind is highlighted by hand-painted platinum. Crystal with platinum stamping accents. Approx. 7"L x 1.6"W x 4.4"T.
For in-store inquiries, use sku #2329674.